Tagged under Tadatoshi Fujimaki, Production I.G, Light Novel, Series, Drama CD. Overall, I honestly do think that Shonen fans will enjoy this show. It definitely won't become the best show you've ever seen, or engrave itself into your mind that you'd be constantly wondering what happens next, but you will enjoy it. For those fans that are looking for an engaging story, you might end up somewhat satisfied, but also disappointed by the generic rout it takes. However, fans that are invested in characters and realistic drama will be sorely disappointed, since, as I've mentioned, the characters are pretty bland and the drama is severely underpaid. Badass and Epic. 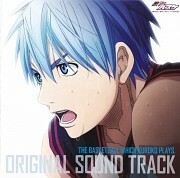 Its very stimulating sports anime at the same time very thrilling and touches the reality. the thing i love about this anime is not every time the protagonist are winner and it also shows that not everyone that are possessed superiority have a good life. They are also experiencing distress and grief despite of they have anything that others are need to struggle in order to obtain such talent and skills. May be it's better to leave the comment empty because there aren't enough words to describe how this anime is awesome, the anime itself is a kiseki, I love basket ball very much that's why I start watching the anime, OMG!! Every match makes your blood boil and it's like you are also in the game, I forgot this feeling , to be excited, to know how the match will end and what kind of skills they will use, it's so amazing! 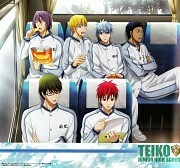 all the characters are awesome, specially Kiseki no Sedai team, they are amazing ,I LOVE KUROKO very very very much! He is handsome, lovely, smart and strong, he never gave up till the very end,he is my favorite character, also the effects of the matches and how the ball move is another amazing side of the anime," kuroko no basuke" makes the other anime series are so boring , if there was a trillion I will definitely vote for this piece of art, and I can't wait to see the next season. 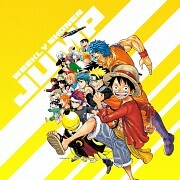 There is no word to express this anime, it's more than Awesome !! 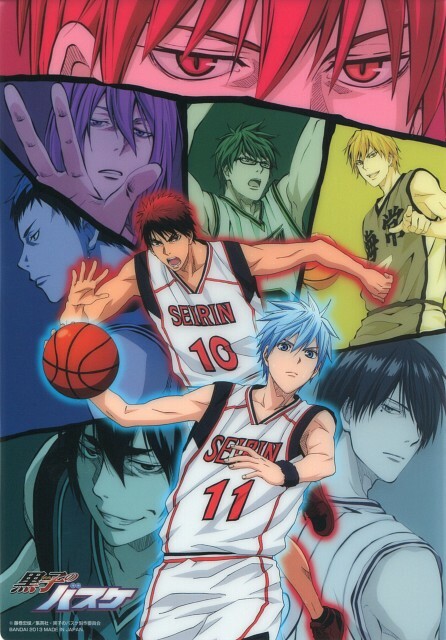 the anime is amazing piece of work, what can i say, the characters are great, all of them but Kuroko-kun is the special, best of them all, so cute, so handsome, and the anime has everything, drawing : 10/10, music :10/10, comedy :10/10, coloring :10/10, action :10/10, the Enthusiastic of each match is pulling u to see the anime more, makes u don't wont to leave the anime, if i can vote for 10 in my watchlist that will be humiliating, is there more i can say about the anime??!!! ah ..PERFECT SHOW EVER!! and we really need a third season, i hope it will come soon. I've watched the whole first season of this series and I'm currently waiting for the second season to finally air. I've also been reading the manga of this too while I've been watching the first season. A really great anime. Kept me wanting more and more, it's not the normal basketball game you can just watch in any highschool either. The characters are well developed and each character has their own personality. The creators also went ahead and created rivals for all characters and their own "powers" were somehow the same with the others but before you know it they could either control better than others or they are much better in using it. Although the title of the anime would make you think it will only focus on one character it actually doesnt as it also explains the reason why the mentioned character in the title is a crucial part of the whole anime/per game. I'd give the anime 10/10 just because it kept me occupied for the whole winter break. I have never really been a fan of basketball. I mean I'd catch a few matches but I think I may have to watch more games! I know Kuroko no Basket is an anime but the freaking characters are the best! I love every single one of them. I want them all to win and to play games together and just have fun. I've never been this emotionally invested in characters. I don't want the season to end I hope they get a new season. I just love Aomine so much I mean he is the greatest character period. Ugh, why do I have these feels for this boys? Starting was interesting...slowly I see there are no strategies or so like in Eyeshield 21.